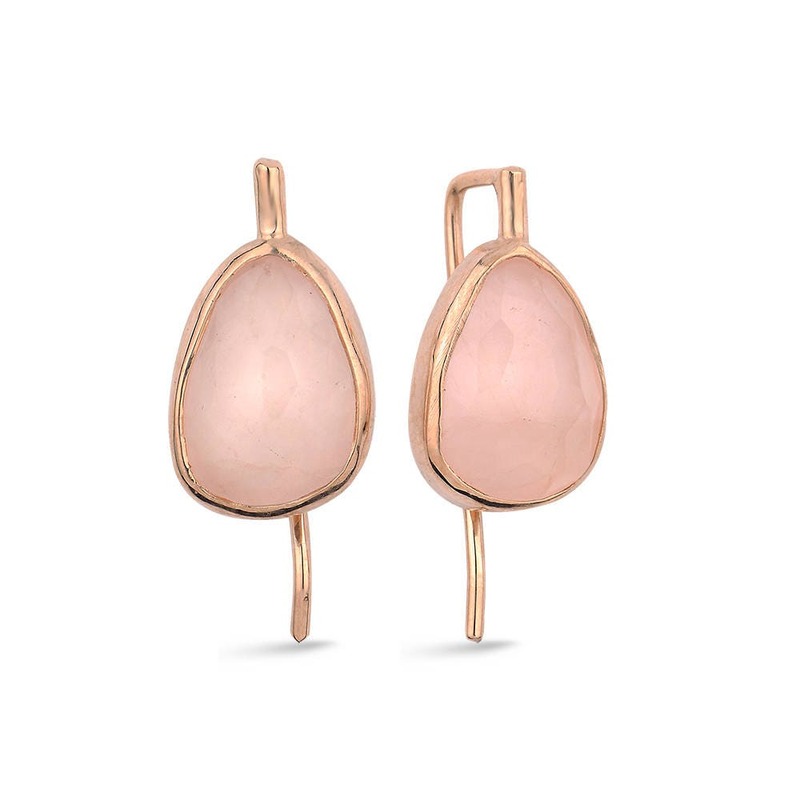 Flat rose quartz silver earrings , rose gold plated.Stone's shapes and colors may vary. 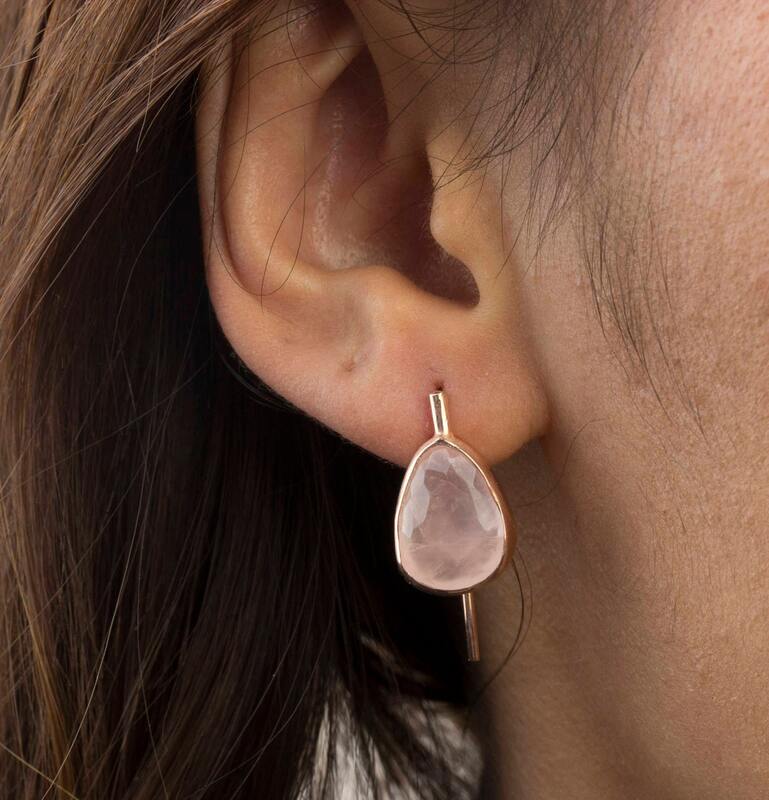 Minimal but elegant. 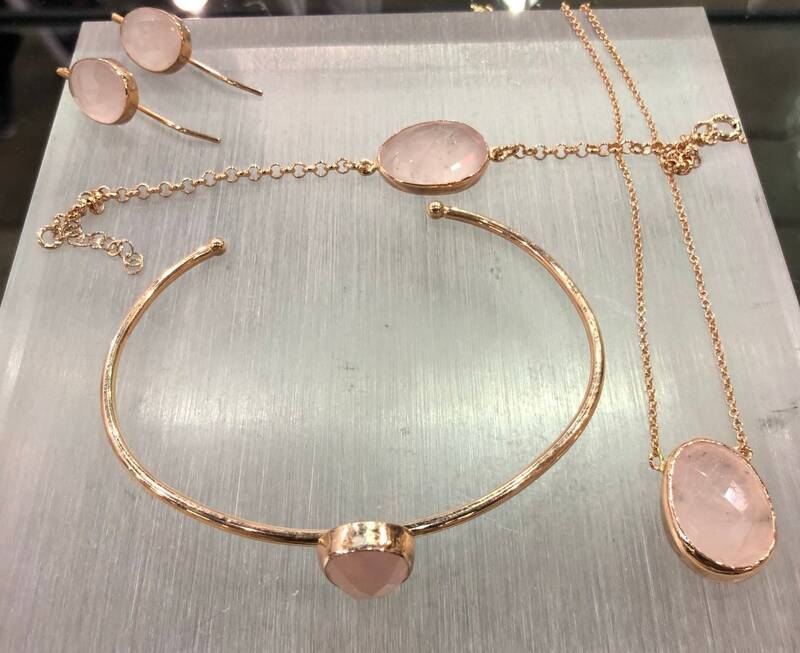 Rose Quartz is a stone whose powerful vibration of love will resonate to the whole body and heal all chakras. The energy of the love it resonates is all encompassing.It enhances love for yourself, your partner, your children, your community and the whole world! It will bestow a peaceful and calming sensation that can assist in healing of the heart, by dissolving anger and resentment. Here is the link for matching popular ring. Absolutely gorgeous! Cannot wait to wear them for my wedding with my matching necklace!